Temperature humidity chamber is used to test material structure or composite, in the high temperature and ultralow temperature continuous environment. Suitable for electronic, LED lighting industry, auto parts, chemical industry, building materials, mobile computers, batteries, plastic, metal, rubber etc.material. Under condition of high and low temperature change, test various performance reliability index of related product spare parts and materials for institutions of higher learning, scientific research units etc. 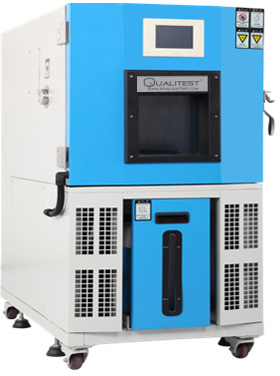 Temperature humidity chamber can be used as the basis of improving product or reference. Frequency conversion control of wind speed. Touch screen controller, friendly Man-machine interface and safety device to ensure simple operation and easy maintenance.